In recent years, the safety of these meds – both over-the-counter and by prescription – has been called into question. And I’ve seen enough overwhelmingly negative evidence against these heartburn drugs that I consistently advise my patients to stay away from them at all costs. I’m talking about proton pump inhibitors, or PPI’s. Some of the popular brands that fall into this category include Nexium, Prilosec and Prevacid. Before you pop another one of these antacids, you need to take a very hard look at the serious risks they pose to your health. 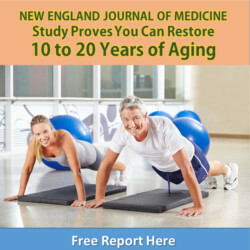 Most people tend think that over-the-counter-medications are relatively safe. And who really considers the idea that a medication for stomach acid could have any major side effects? Well, it might surprise you to learn that PPIs come with an extremely long list of serious health issues. They can even shorten your lifespan. Just take a look at some of the problems associated with them. People who use PPIs are between 16% and 21% more likely to experience a heart attack than people who don’t use them. PPI users have a greater chance of developing chronic kidney disease and acute kidney damage that can lead to end-stage renal disease. And here’s a sad note: More than half of people on PPIs who develop chronic kidney disease or end-stage renal disease have never had kidney problems before in their lives. Long-term use of PPIs more than doubles the risk of developing stomach cancer. People who take PPIs for one or two years have a 50% increased risk of dying over the next five years compared to those who take H2 blockers. While data is mixed, there is some evidence that PPI use is associated with an increased risk of dementia and Alzheimer’s disease. Regular use of PPIs is known to decrease your stores of two very important nutrients, vitamin B12 and magnesium. These are both common deficiencies here in the U.S. that can be detrimental to your health. And here is the scariest news of all.. Here in my own practice I find that, more often than not, people with digestive issues are suffering from too little stomach acid, not too much. In fact, at least half of patients with heartburn—especially those over age 60—don’t have enough stomach acid to start with. Yet they’re popping PPIs like candy. This, of course, depletes stomach acid and digestive enzymes even further. You can easily found out if you have too little stomach acid. Just take a tablespoon of apple cider vinegar in a glass of water the next time heartburn strikes. If the pain disappears or gets remarkably better, that’s a pretty good indication that your body isn’t producing enough hydrochloric acid. 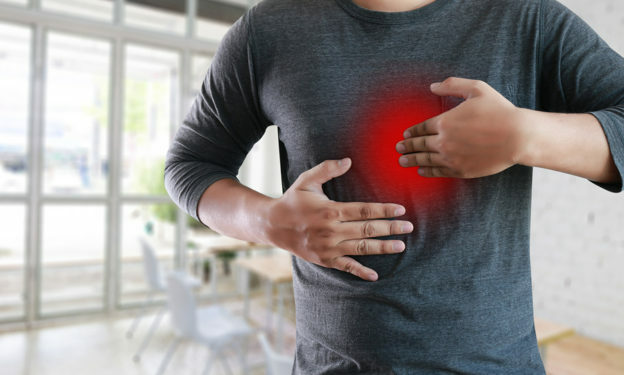 If it turns out that you truly are suffering from acid reflux, you should know that certain foods may act as a trigger for it, while others can provide soothing relief. With this in mind, I recommend that you take a serious look at the foods you’re eating and try to stick with those that won’t fight back. You’ll also want to repair any damage caused by reflux and acid-blocking drugs. For that, try deglycyrrhizinated licorice (DGL). It can help ease your heartburn symptoms while repairing the mucosal lining of the stomach. Simply chew two DGL tablets before eating or whenever heartburn strikes. Xie Y, et al. Long Term Kidney Outcomes among Proton Pump Inhibitors Users without Intervening Acute Kidney Injury. Kidney Int. 2017 Jun;91(6):1482-1494. Klatte DCF, et al. Association Between Proton Pump Inhibitor Use and Risk of Progression of Chronic Kidney Disease. Gastroenterology. 2017 Sep;153(3):702-710. Cheung KS, et al. Long-term proton pump inhibitors and risk of gastric cancer development after treatment forHelicobacter pylori: a population-based study. Gut. 2018 Jan;67(1):28-35. Gomm W, et al. Association of Proton Pump Inhibitors With Risk of Dementia: A Pharmacoepidemiological Claims Data Analysis. JAMA Neurol. 2016 Apr;73(4):410-6. Jackson MA, et, al. Proton pump inhibitors alter the composition of the gut microbiota. Gut. Published online first Dec 2015. Choudhry MN, et al. Overuse and inappropriate prescribing of proton pump inhibitors in patients with Clostridium difficile-associated disease. QJM. 2008 Jun;101(6):445-8. Forgacs I. Overprescribing proton pump inhibitors. BMJ. 2008 Jan 5; 336(7634): 2–3.